A study by Professor Igor Burstyn, Drexel University School of Public Health, shows that e-cigarette use poses no danger to users or to bystanders. Professor Burstyn reviewed 9,000 observations (peer reviewed papers and ‘grey’ papers) of the chemicals found in e-cigarette use and found the levels of harmful chemicals to the user or the ‘passive vapour’ were ‘insignificant’. 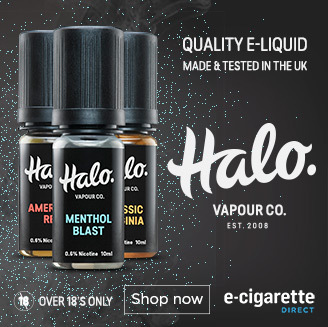 As well as the obvious good news for our bodies this is also great news for the movement to allow e-cigarette use in pubs and clubs, as the primary objections raised have revolved around the harm to bystanders ‘passively vaping’. This theory has now been comprehensively debunked. The paper suggested that even those undesirable contaminants found in e-cigarette vapour were of no health concern as they were found at levels CASAA described as ‘trivial’. Even Nicotine itself has been compared to caffeine in terms of the relatively low risk of ill effects on the body. 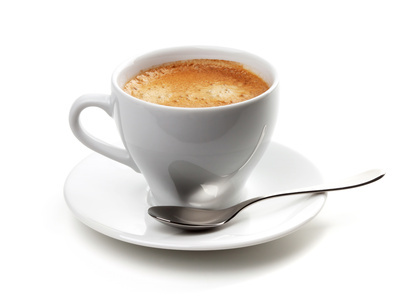 In short you stand the same low risk of heart problems or strokes as drinking a nice cup of coffee. By pulling such large quantities of data together this study is a valuable tool into gauging the comparative safety of e-cigarette use versus regular cigarettes. Finally CASSA Scientific Director Carl Phillips said ‘This is exactly the type of science that is needed to make good regulation and informed individual decisions’. The New York Times reports that the cost of hiring smokers vs non-smokers for employers in the USA could be as high as $5800 (approximately £3700 sterling). The study was carried out by researchers at Ohio state university who found that employees who smoke tend to take five breaks per day as opposed to the three breaks taken on average by their non-smoking counterparts. The financial cost of these extra cigarette breaks accounts for over $3000 of the total sum. The remainder of the cost is made up by health costs and sick days as smokers tens to take 2.5 more sick days than non-smokers. More evidence that making the switch to e-cigarettes can make a big change to not only your pocket but to your bosses profits too! 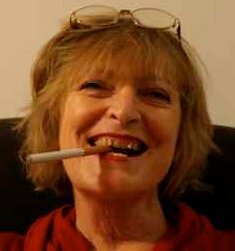 Our MD, Jean Rasbridge recently had an interview with BBC Radio Wales regarding a ban of ecigarettes on public transport in London. Here’s the link bbc.in/1bi3CSL skip to around 35 minutes to catch the interview. Jean makes some fantastic points in the interview, that I’m sure you can all relate to! Jean is also strongly backed up by the article above, I’m sure you can all agree that the reasoning behind the ban is completely unjustified. Let us know your thoughts and opinions in the comments section below. IBM commissioned a study several decades ago in the hopes of proving that they were losing tons of money to smoke breaks. That study showed just the opposite; though, smokers were more effective at their job than non-smokers and overall got more done in a day than non-smokers. Because of that study, IBM decided NOT to implement a rule against smoke breaks that they were considering. After seeing the same thing in their own company that the IBM study showed – that workers returning from a smoke break suddenly became much more productive – a Leeds form decided to implement “Sweet breaks” for non-smoking employees. 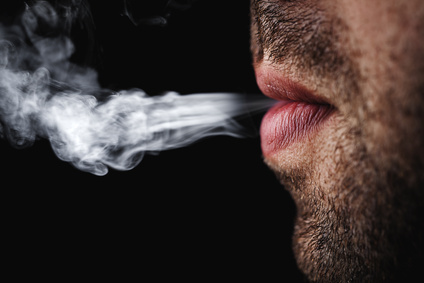 This article summarizes the original article from The Sun – https://www.tobaccoreporter.com/2012/11/tobacco-smoke-breaks-translate-into-higher-levels-of-productivity/. For years we’ve read that because smokers take more breaks and are less productive, but in truth it makes them more productive. Non smokers tend to tire without taking breaks and become much less productive. From my own experience, some of the hardest working people I’ve known and worked with, were smokers. Some great studies and articles there! I think this does help to show that regular breaks during work do increase productivity. We only tend to concentrate for around 30 minutes on a certain task, hence why many schools have cut lessons from an hour to 30 minutes. In an ideal world we’d all get that many breaks in a working day! It is a difficult one to assess with smokers and non smokers. Perhaps the idea of a ‘sweet break’ wouldn’t be as much as an incentive, as a smoke break for smokers would be. I feel timing is important as the longer a smoker goes without a cigarette, the more chance of them being less productive. Both sides of the story certainly give us some things to have a think about! Not much of a scientific bent here:) but I skimmed through the study – great work by the way – congratulations and big thank you to Igor Burstyn for doing this. This study successfully deals with several widely spread misconceptions re electronic cigarette use – I’ll do my best to spread the word. Also I loved Jean’s interview – so good that she points out at the harm those bans are doing. We thought it was a great interview by Jean! It does make it more difficult when the interviewer doesn’t have much knowledge on the subject, but we think she handled it very well. We appreciate the kind words and the fact that you’re also trying to spread the word. If enough of us do it, then we can make a difference! It tends to be all the other nasties in cigarettes that are harmful, rather than the nicotine. 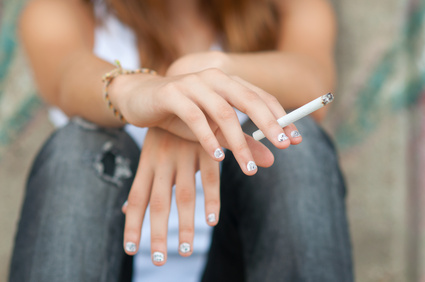 Nicotine has been likened to caffeine in the amount of harm that it does to the body. We do agree that e-cigs are certainly safer and healthier! There is no conclusive evidence on ecigs yet but one thing is for sure that it does not contain all the bad stuff tobacco cigs have. E cigs will be deemed safe if they are classed as medicines. They will have less nicotine, of course, and be less attractive to smokers. They will however be basically the same and work in the same way. I can’t believe they expect us to fall for this guff. When e-cigarettes are deemed safe to those around the smoker/vaper, why ban it at all. How many more studies have to be made, before health departments reach a verdict on its safety? Electronic cigarettes have been used as an alternative to analogs for some time now, and even though companies aren’t allowed to advertise them as safer than tobacco smokes, most people who use them do so hoping they really are less harmful. Anti-smoking zealots, on the other hand, have been issuing warnings about the lack of conclusive data regarding their safety. Find more benefits here https://www.the-e-cigarette.org/. Hope this helps your curiosity. In my option electronic cigarettes are far more healthier than traditional cigarettes and if anything have helped me find a better lifestyle. I think that electronic cigarettes are healthier but until there is a study that people will actually agree on, places are still going to ban them. Quite, and the bans will be helped by the big-pharm paid smear campaign. Let’s not forget the hands on industry it’s created instead of multi million pound machines used by multi billion pound company’s the industry has created jobs all over the place a great thing for the country that effects real people. But we can talk and type ect all we want this is going to happen and writing to our overly paid, corrupt and misinformed over educated lifeless MSP’s who won’t speak for us the 2 million vapers in the country well what could we possibly have expected. The only way we have a voice these days is with a good old fashioned riot and since the country can’t even do that right (looting) instead of burning 10 downing street we have absolutely no chance. p.s I have went from a 40 a day sterling habit to a 10mg bottle a week their loosing £80 a week off me in tax. Corruption believe it it’s the truth & everyone in government is in on it blatant blatant blatantly!!! To be fair we have had a lot of support from some MPs and MEPs, Rebecca Taylor being a case in point. Ok so what’s next? Where do we go from here? Can we take them on legally in court? Perhaps we need to do more maybe a fund could be set up that we the two million vapers could donate to help the cause I would stand forward on that quest. Get all the juice sites in on it all the shops that sell to us get everyone to help theirs plenty of us can we change this? I would like to think so. I think the few MEP’s that are on our side are doing a good job & I commend them in helping us though we need more. We’ve got a great spokesman in you james hopefully we’ll get their somehow. Hey Euan, sorry I didn’t reply to now! Thanks for the kind words, but the most important thing is that users write to their representatives and tell them how important e-cigarettes are to them. That’s what made the difference in Europe, and that’s what we need to save vaping. Absolutely not, but the EU compromise shows that we can win if enough vapers take action. Soooo good news that they are not going to ban e-cigarettes. Thanks for the comment, Peter, glad it is working for you! Hope that the EU will make the e cigarette legal soon. Instead of trying to make it illegal. Make the real cigarette illegal instead. I would have to agree. Ever since I stopped smoking cigs and started smoking out of my vapor pens. I cough way less. My chest feels a lot better along with my throat.